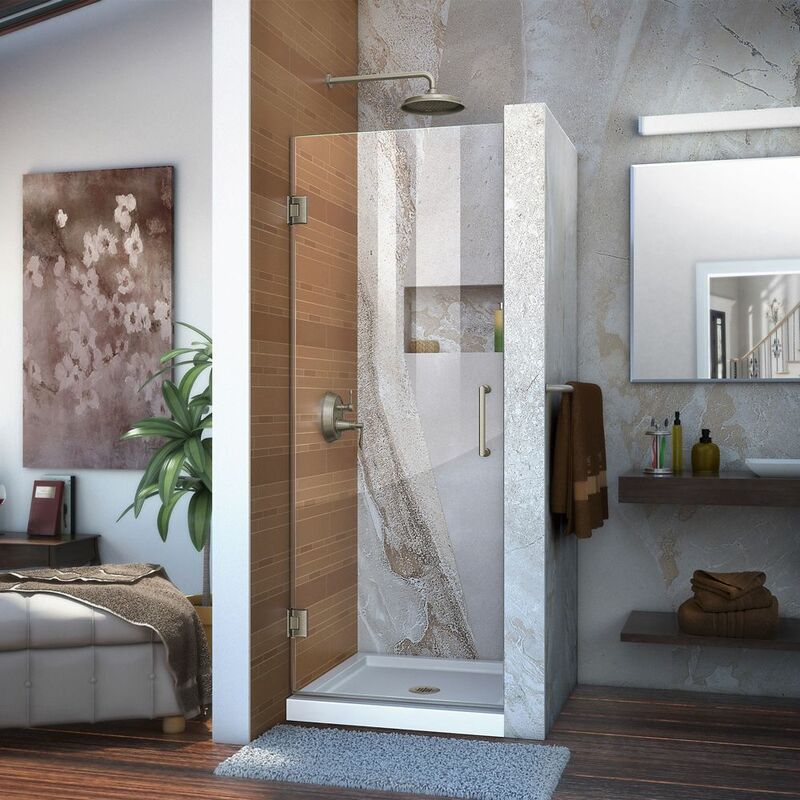 Unidoor 24-inch x 72-inch Frameless Hinged Pivot Shower Door in Brushed Nickel with Handle is rated 4.8 out of 5 by 63. Rated 5 out of 5 by Greg from Looks excellent. Added the finishing touches to our bathroom remodel.... Looks excellent. Added the finishing touches to our bathroom remodel. Rated 4 out of 5 by John from Love the look of this shower door. Works great.... Love the look of this shower door. Works great. No regrets. However, installation was hampered by the bad screws included. Easily stripped. Had to buy replacements. Rated 5 out of 5 by HomeDepotCustomer from Great door. Love it.... Great door. Love it. Rated 4 out of 5 by Sunday from I really do like the shower door. However, we... I really do like the shower door. However, we are having a problem with the water guard on the bottom of the door. It won’t stay on. Any suggestions? Rated 4 out of 5 by Laura from Good looking quality door. ... Good looking quality door. Rated 5 out of 5 by Bob from The shower door was easy to install. The only item that was not clear in the instructions was th... The shower door was easy to install. The only item that was not clear in the instructions was that the door will open both directions if nothing is done to prevent it from doing so.